GLADSTONE – Gov. Rick Snyder said the timber industry in Michigan is growing at a faster rate than expected. 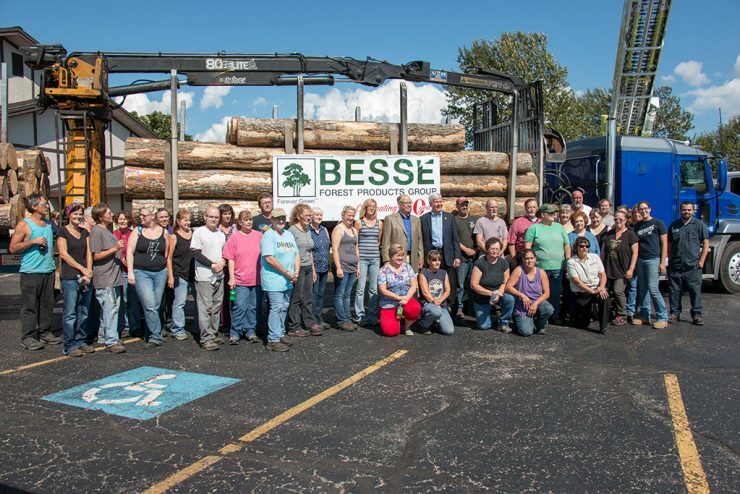 He was at Besse Forest Products in Gladstone yesterday to announce that they have achieved four of five goals set at a Forest Product Summit in 2013. ESCANABA – The Escanaba Paper Company was sold to Verso Corporation today with the completion of Verso’s purchase of NewPage Holdings Inc., a deal valued at $1.4 billion. MEMPHIS, Tenn., and MIAMISBURG, Ohio – Verso Paper Corp. and NewPage Holdings Inc. today announced that they each have received a request for additional information from the U.S. Department of Justice in connection with Verso’s proposed acquisition of NewPage. MIAMISBURG, Ohio – NewPage Corporation announced new bank financing totaling $1.1 billion that is required in the merger to Verso Paper Corporation. It is the first in a series of actions connected with the merger. Verso Paper announced Jan. 6 that it was acquiring NewPage mills including the Escanaba Paper Mill in the Upper Peninsula. MIAMISBURG, Ohio – Verso Paper Corporation is purchasing NewPage for $1.4 billion. It includes the Escanaba Paper Mill in the Upper Peninsula as well as paper mills in Wisconsin and four other states. The sale was announced this morning. It comes about a year after NewPage emerged from Chapter 11 Bankruptcy. MIAMISBURG, Ohio – NewPage Corporation reports a $21 million net income in the third quarter of 2013. The company says it is in line with its expectations. That compares with a $47 million loss during the third quarter in 2012. However, sales were down 3 percent in 2013 compared to 2012. 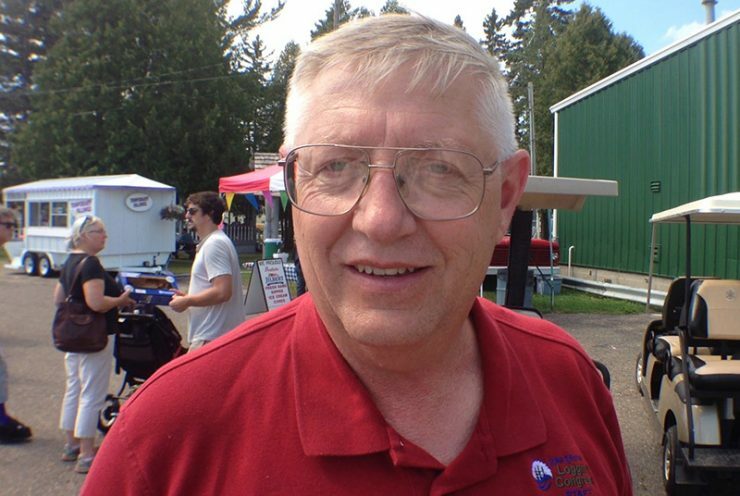 Henry Schienebeck, executive director of the Great Lakes Timber Professionals Association, talks about the 68th annual Lake States Logging Congress and Equipment Expo in Escanaba, MI Sept. 6-7. 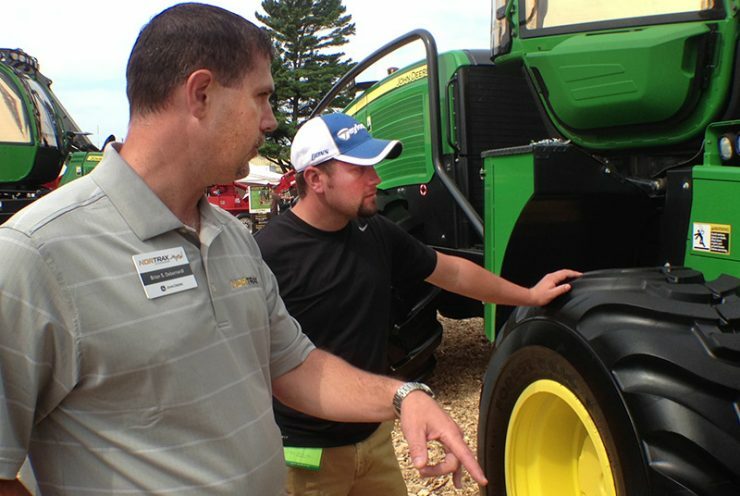 Escanaba – For Steve Anderson, updating logging equipment every few years keeps his business profitable. He took advantage of the Lake States Logging Congress and Equipment Expo in Escanaba to compare the different harvesters now on the market. 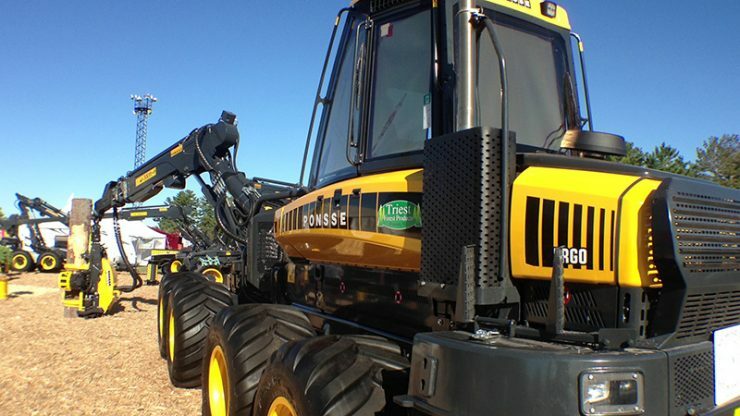 ESCANABA – Exhibitors at the Lake States Logging Congress and Equipment Expo spent three days setting up their displays at the U.P. State Fairgrounds in Escanaba. The show runs Friday and Saturday. MIAMISBURG, Ohio – NewPage Corporation reports a $21 million net income in the third quarter of 2013. The company says it is in line with its expectations. That compares with a $47 million loss during the third quarter in 2012.